It&apos;s human nature to seek validation from others, especially when it comes to body image. Women and men both fall prey to this trap, but society seems particularly invested in creating and maintaining specific beauty standards for women and girls. How can women move beyond these stereotypes to claim a deeper, self-defined satisfaction with their bodies? Social psychologists Andrea L. Meltzer of Southern Methodist University and James K. McNulty of Florida State University explored this in a study published in December. "Because body dissatisfaction is common among women, I thought it was important to better understand the source of women&apos;s satisfaction and potential ways to improve it," lead researcher Meltzer told Mic. "We still have a lot to learn regarding ways to improve women&apos;s body satisfaction." Meltzer and McNulty found that women&apos;s perceptions of their body image can be altered to include a more open — read: fuller-figured — beauty standard. Unfortunately, the study in this case found that the change correlated with what women are told men prefer. As Meltzer told reporter Margaret Allen, "This study suggests that interventions that alter women&apos;s perception regarding men&apos;s desires for ideal female body sizes may be effective at improving women&apos;s body image." There are a couple of different takeaways here. For one thing, the study benefits the field of body image research. While plenty of previous research has focused on forces that produce negative body image, few studies have taken a constructive approach to discovering what may inspire body satisfaction among women. Additionally, the role men play in women&apos;s self-conception, and their potential to help inspire positive body image, has also been understudied. Given that previous research has demonstrated men may be more amenable to diverse body types than women, it&apos;s important to engage with the role they play in this dynamic. In order to address these gaps in research, Meltzer and McNulty conducted three independent experiments. First, women viewed images of women with fuller-figured body sizes and then were randomly assigned to groups. One group was told that men found these types of women attractive, a second group was told men prefer the idealized images of women commonly depicted in the media and a third group was not given any information about men&apos;s preferences. Women who were told that men preferred the larger-sized women reported feeling more satisfied with their bodies than the women in the other two groups. In a separate yet related experiment, Meltzer and McNulty&apos;s findings suggested that women feel more satisfied with their bodies when they place less importance on obtaining a thin body. This particular study is admittedly limited. Most notably, the study&apos;s subjects were entirely heterosexual and overwhelmingly white. Meltzer, acknowledging these limitations, told Mic that the "samples, unfortunately, were not diverse" and that it is also "important that future research extend the findings to the LGBT community," noting that results from such a study could potentially reveal that "lesbian women may be more influenced by other women&apos;s beliefs about women&apos;s bodies than by men&apos;s beliefs about women&apos;s bodies." On the other hand, considering that scientific research has historically failed to represent women, as subjects as well as in terms of studying their experiences, the publication of a study about an issue they face, like body image, is promising. Furthermore, despite its limitations, this study lays groundwork for further research on perceptions and attitudes related to body satisfaction for everyone, including LGBTQ-identifying women, women of color and even men as well. Ideally, women should exist in a world where their self-worth is not dependent on the preferences of their partner. This research should serve as yet another wake-up call for women, who need to focus on developing an internalized positive body image rather than looking to others — no matter their gender — for validation. Of course, everyone needs to work harder to change societal standards of beauty. 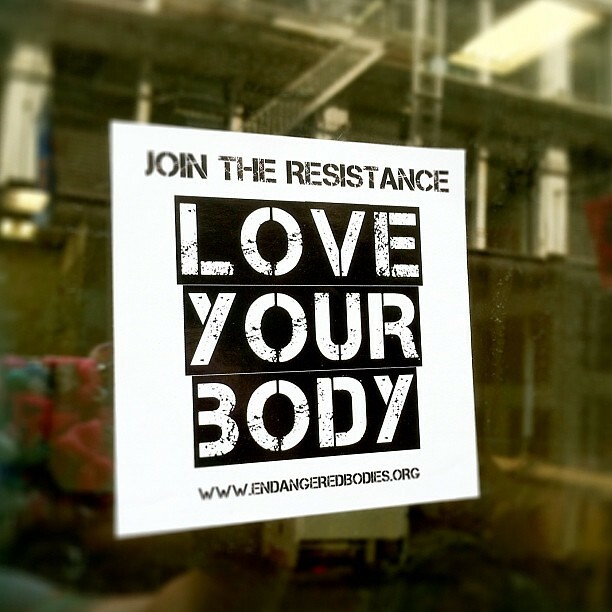 But in the meantime, it&apos;s encouraging that researchers are taking women&apos;s attempts to love their bodies seriously.